Volkswagen has launched Bluemotion Technology versions of the Scirocco and Passat CC - the cleanest and most fuel efficient versions yet produced. All entry-level Scirocco and GT trim models with the 2.0-litre 140bhp engine now feature BlueMotion Technology modifications including Stop/Start and battery regeneration systems to help to create the cleanest and most fuel efficient Scirocco to date. The models, available with a six-speed manual or optional six-speed DSG gearbox, offer savings through increased claimed fuel economy, improved from 55.4mpg to 62.8mpg on the combined cycle (51.4mpg to 57.6mpg DSG), and lower emissions, down from 134g/km to 118g/km (145g/km to 129g/km DSG) to allow all BlueMotion Technology Sciroccos to drop two tax brackets over previous models. Volkswagen has also announced revisions to the 2.0-litre TDI 170 PS engine fitted to the Scirocco GT, which result in fuel economy figures improving to 55.4mpg from 53.3mpg (50.4mpg to 51.4mpg DSG) and CO2 emissions reducing from 139g/km to 134g/km (147g/km to 144g/km for DSG) . These revisions help the 2.0-litre TDI 140 PS Passat CC models achieve a combined 60.1mpg, up from 50.4mpg, and CO2 emissions are cut to just 125g/km, down from 146g/km. The more powerful 2.0-litre diesel engine in the range producing 170bhp also boasts improved figures with economy up to 57.6mpg (51.4mpg DSG) and emissions down to 129g/km (144g/km DSG). 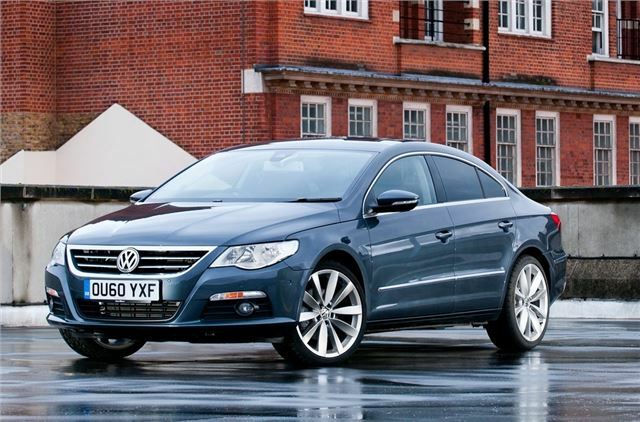 The Scirocco and Passat CC BlueMotion Technology models are available to order at Volkswagen Retailers now.